Amy Sherman and John Gonzalez of Behind the Mitten interview Dave Ringler of Cedar Springs Brewery, which has a big Starkbierfest on April 2. 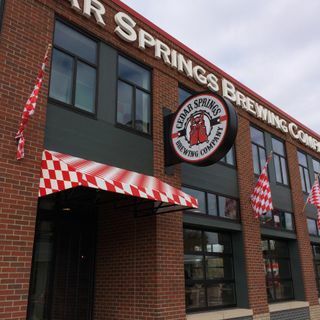 It's the first outdoor beer festival for the new Cedar Springs Brewery. It will take place from 3-9 p.m. Saturday, April 2nd. Six new beers tapped / 3 are limited release. Live music. Sausage party. Free entry (aged 21+). More details: http://csbrew.com/news/starkbierfest/ or visit our social media.